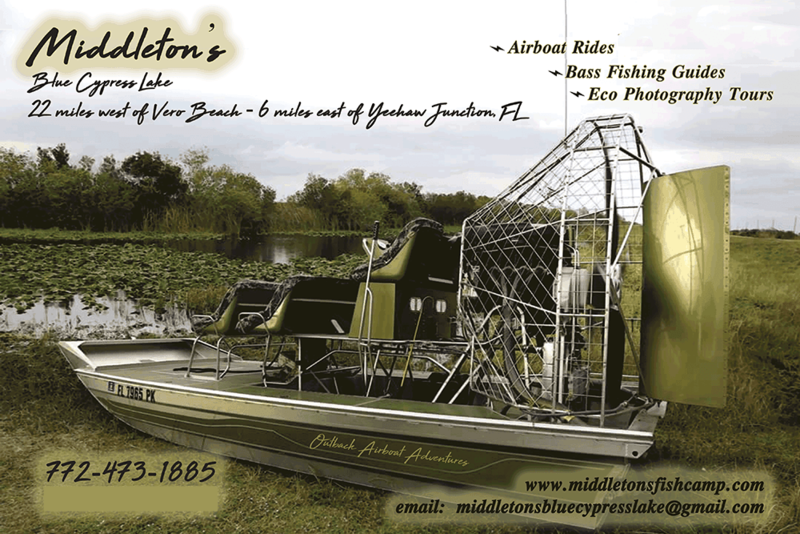 As the only camp on beautiful Blue Cypress Lake, only Middleton's Fish Camp and Roy Bass can show you the Real Florida in this part of the state. 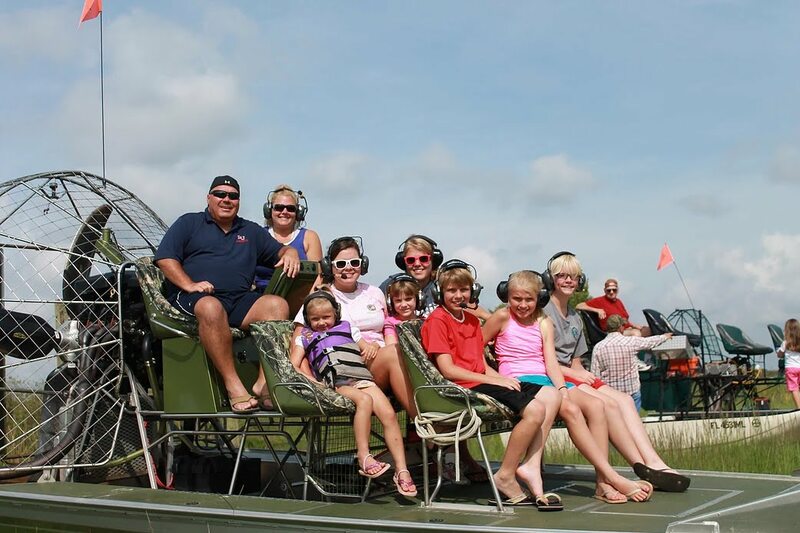 Featuring airboat rides, full bait & tackle, boat ramp, primitive camping, bass fishing guides, pontoon boat eco-tours and photography tours. 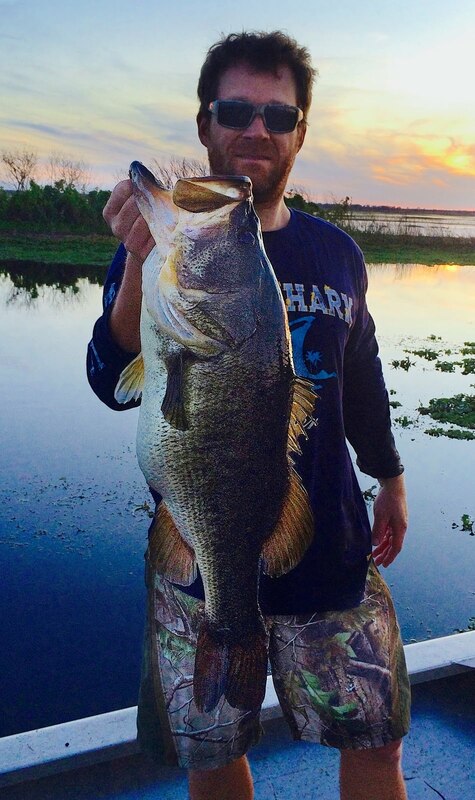 Florida's best-kept secret is located 22 miles west of Vero Beach and 6 miles east of Yeehaw Junction off Route 60, the Real Florida at Blue Cypress Lake teems with fish such as Large Mouth Bass, Speckled Perch (Crappie), Bluegills, Shellcrackers and some of the best tasting catfish anywhere. 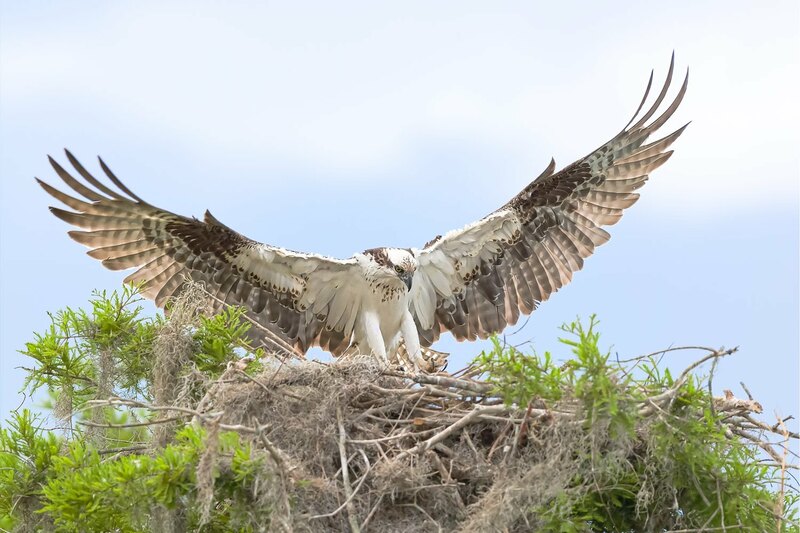 Ospreys abound and are especially prevalent around nesting time. You can also see owls, hawks, ducks, herons, cranes and more! 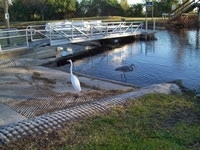 We have a nice boat ramp, and water levels are adequate, most of the time. 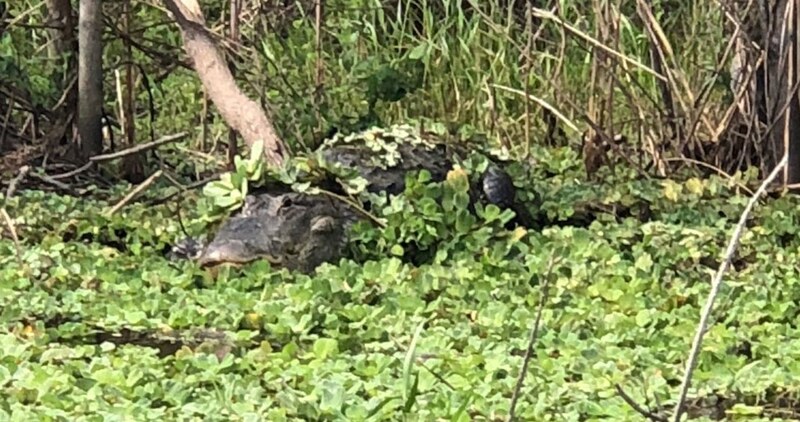 Yes, there are alligators! 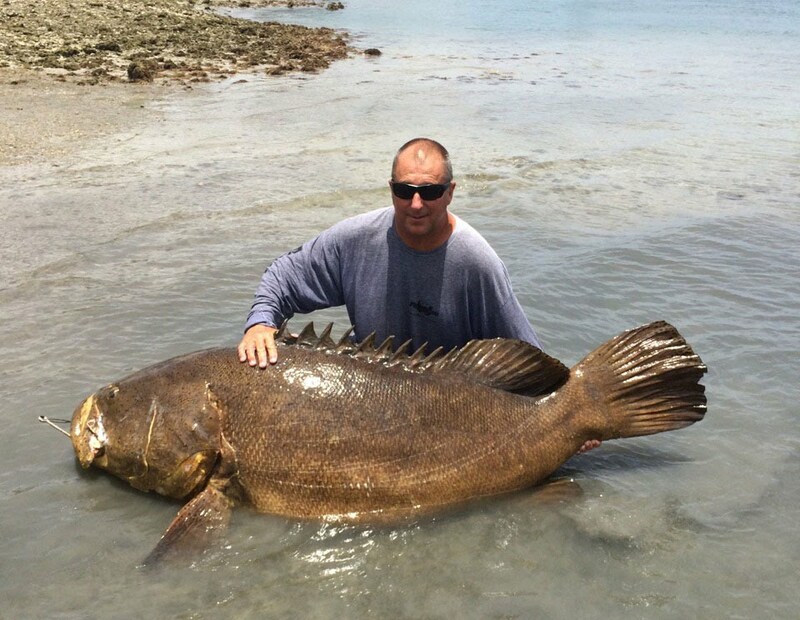 So we don't recommend swimming for people or pets. 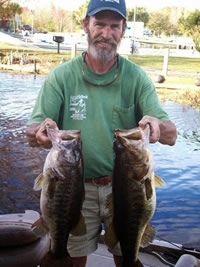 Captain Roy Bass now offers Salt Water Adventures as well. 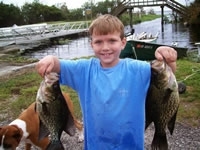 Salt water fishing and pontoon boat tours in the Indian River. Click the picture below to see more pictures. Blue Cypress Lake is one of the most beautiful natural lakes in Florida. The average depth of Blue Cypress Lake is 8 feet and it has some of the cleanest water found in any Florida lake. Blue Cypress Lake is approximately 6,555 acres and is the headwaters to the St. Johns River. The majority of Blue Cypress Lake's edges are lined with cypress trees. There are small bayous with lily pads, sawgrass and submerged logs around the edges. Fish attractors have been placed around Blue Cypress Lake in the more open areas of the lake. 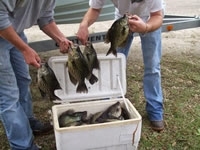 Blue Cypress Lake is best known for Large Mouth Bass, Speckled Perch (Crappie), Bluegills, Shellcrackers and Catfish. Blue Cypress Lake and Middleton's Fish Camp are located at the end of a rustic 5-mile graded road (sometimes graded "F"! ), off SR 60, that winds through fields, wetlands, pastures and farmlands. Please be sure to wave when you pass anyone along the way, as is customary in these here parts. "Primitive camping" (i.e. ; no hookups) is available for tent campers and RVs, however space is limited and is available on a first come, first served basis. As beautiful as things are here, we do have to share our World with bugs, snakes and other creatures. Please come prepared. Click the chart above for a larger and more detailed view of the lake.